At emPhys Physical Technology, we specialize in RF and AC/DC systems, thermal systems, and acoustics. We combine prototyping with powerful modern finite element simulation software. Our company specializes in designing and simulating RF circuitry, antennas, waveguide structures, and microwave components. We create individual prototypes, characterize them in our laboratory up to a frequency of 2.5 GHz, and verify our simulations. At emPhys, we work closely with our customers. We leverage our expertise to create a custom strategy to deliver results in an efficient manner. Our facility is equipped with powerful computational resources in order to run your simulations in-house. We also offer postprocessing services to create presentation-quality results. In order to ensure that your project is precise, we also verify your electromagnetic models in our electronic laboratory. 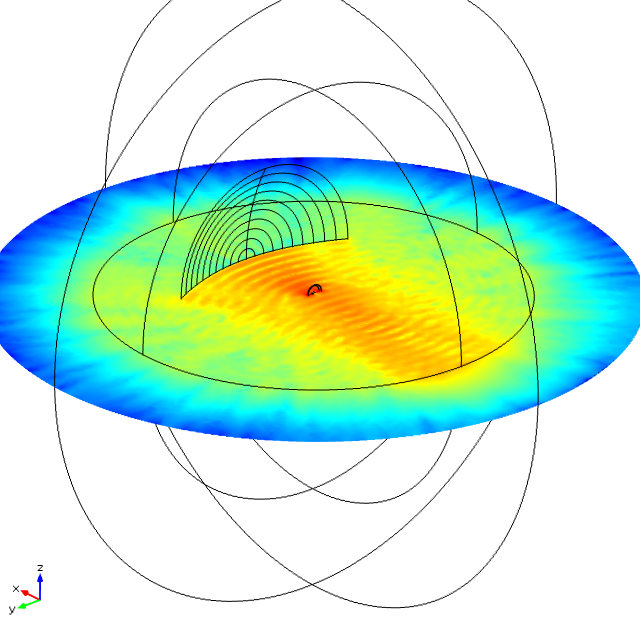 One example of the type of simulations we run is this parabolic dish antenna. The patch feed was optimized for S-Band regarding gain and impedance match. An illustration of the near field radiation pattern in the H-plane.